Hassan Rouhani is the president of Iran and head of the secular wing of Iranian government. Supreme Leader Ayatollah Ali Khamenei controls the religious wing of the government, and in Pompeo’s estimation is far more important than Rouhani. Zarif announced the end of his six year career as foreign minister via Instagram on Monday evening, but as of Tuesday afternoon, Rouhani has not accepted it, instead praising his foreign minister as an effective adversary of the United States, leading to Pompeo’s cynicism about whether Zarif is truly resigning. “In the view of Dr. Rouhani, the Islamic Republic of Iran has only one foreign policy and one foreign minister,” Vaezi declared. A spokesman for the Iranian Foreign Ministry said on Tuesday that Rouhani has refused to accept Zarif’s resignation. Zarif gave an interview on Tuesday in which he sounded like he was still an active player in Iranian politics. He implied his offer of resignation was an act of protest against “hardliners” in Iran who are opposed to honoring the nuclear deal with its remaining signatories now that the United States has withdrawn. “We first have to remove our foreign policy from the issue of party and factional fighting. 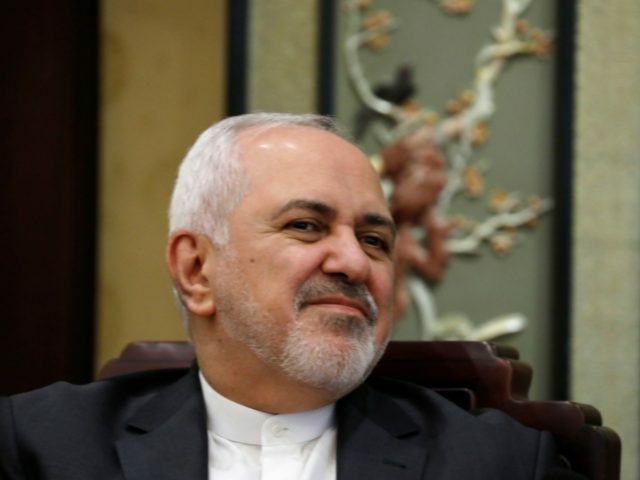 The deadly poison for foreign policy is for foreign policy to become an issue of party and factional fighting,” Zarif said, as quoted by the al-Jazeera news service. These hardliners are ostensibly trying to sabotage Europe’s attempt to create a new financial system for trade with Iran by stalling legislation that must be passed before Iran could sign the deal. Zarif and his faction have often portrayed the hardliners as opposed to establishing better ties with the West or upset that Iran made too many concessions to obtain the nuclear deal from the Obama administration. Both of those storylines were very popular with the Obama administration, but critics maintain – as Pompeo suggested in his tweet – that real power has always been in the hands of the hardline theocracy and everything else is a theatrical production to convince Westerners that Iran is growing more moderate and secular. “There were closed-door meetings every week, where top officials were bombarding him with questions about the deal and what will happen next and so on. He and his boss [Rouhani] were under a huge amount of pressure,” an anonymous ally of Zarif told Reuters. Another Iranian official “close to the hardline camp” suggested to Reuters that Khamenei can easily end the crisis in a “good way” and “narrow the gap between different political camps” by expressing support for Zarif. A third Reuters source in Iran worried about the opposite outcome, as Zarif’s resignation could trigger a “domino effect” that causes other ministers, and possibly Rouhani himself, to resign. Zarif resigned just a few hours after Syrian President Bashar Assad visited Tehran and met with Khamenei and Rouhani. The foreign minister was surprisingly absent from these meetings. The Jerusalem Post quoted rumors in Iranian media that Zarif disagreed with Rouhani about keeping Iranian forces in Syria and interpreted the lack of an invitation to attend the meeting with Assad as a deliberate snub. Zarif’s only comment on his absence was a cryptic text message that said he would “no longer have credibility in the world as the foreign minister” after photos of Assad meeting with Khamenei and Rouhani were published. The Iranian parliament announced on Tuesday that it will investigate Zarif’s resignation. “With attention to the internal and international situation, sanctions and the pressure from America, I emphasize that more than any other time we need internal unity and solidarity,” said a spokesman for the parliamentary National Security and Foreign Policy Commission.